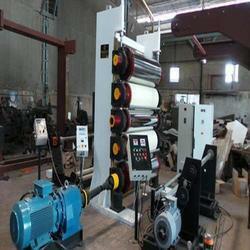 Our organization is counted amongst the most distinguished providers of Cylinder Drying Range Machine. 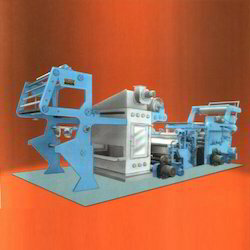 Drying Range Machine we offer is widely used by the maximum number of user in the industry. 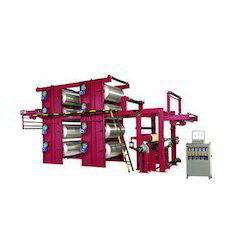 This Drying Range Machine is manufactured with the latest technology as per the set industry norms. To assure its flawlessness finish, offered products range is stringently tested on various quality parameters by our team of professional experts. Our company is engaged in offering an exclusively designed range of premium quality Felt Calender Machine, The offered range of felt calendar machines is used in the textile and apparel making industries for providing perfect finishing to the fabrics. The offered range of felt calendar machines is used in the textile and apparel making industries for providing perfect finishing to the fabrics. 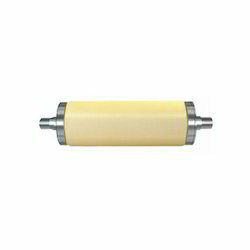 Known superior quality and optimum output, our range is highly acknowledged. We offer these product to our client at market leading price rates. The Automatic Compressive Shrinking Machine is designed to achieve Shrinking results in accordance with international standards for the dimensional stability of fabrics, for widths up to 1200 mm - 3400 mm. It is suitable for fabrics like cotton, synthetics, blends and denims. 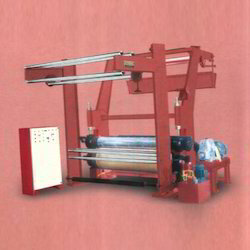 Fabric is shrunk between the Rubber Belt and the hot mirror-polished drum by adjusting the belt stretch by acting on the pressure roller, it contracts the fabric between the rubber belt and the mirror finish heated drum and is shrunk. Shrinkage variation is obtained by varying the pressure applied to the rubber belt. Greater the pressure higher is the shrinkage. We are one of the leading manufacturer of Zero Rubber Blanket, used for shrinking light weight fabrics such as woolen silk, cotton, Terry cotton, polyester and denim. The lifetime of the product is long if used according to the given instructions, no excessive steam pressure should be used else it increases possibility of grinding. The blanket should not come into the contact with ground or any other equipments. It should be kept on upright position while kept in storage. 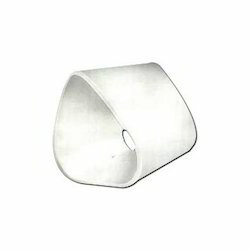 Zero Rubber Blanket is manufactured using best quality rubber free raw materials. Backed by industry experience Incorporated in 1981, we, Prabhat Textile Corporation are located in Ahmedabad, Gujarat. 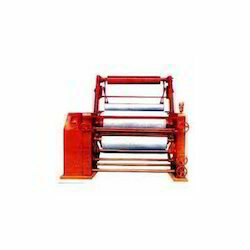 We have established ourselves as one of the renowned manufacturer & exporter of Textile Calendering Machine, Calendering Machine, Drying Range Machine, Felt Calender Machine, Textile Roll etc. 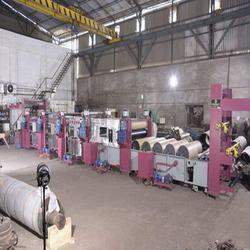 Our range comprises of Two Bowl Textile Calendering Machine, Seven Bowl Textile Calendering Machine, Paper Calendering Machine, Drying Range Machine, Felt Calender Machine, Chainless Fabric Mercerizing Machine, Zero Rubber Blanket, Dyeing Jigger Machine etc. Our products are well accepted not only in India but overseas as well. The company has been established by Mr. Ketan Panchal. These products are appreciated for being precision engineered and carefully designed. In addition to selling more than 150 machines in India, Prabhat Textile Corporation is an expanding company committed to the quality and customer service which have been the hallmarks of our trade since 1968.